The George Observatory, a satellite facility of the Houston Museum of Natural Science, will again host its annual Astronomy Day activities. The event is this Saturday, Oct. 16, 2010. We’ll officially open the doors to the public at 3 p.m., and events will begin to wind down at around 10:30 p.m.
Before opening the doors to the public at 3 p.m., we will be heading up a telephone contact with the International Space Station (ISS), which will be broadcast and recorded. The pass of the ISS is (at this writing) expected to be some time around 11:30 a.m. One scout troop and one school group coming in for an early Expedition Center mission will participate in this contact and ask questions of the ISS crew. We are encouraging all volunteers to be up on deck to listen to this special event, which will take approximately 10 minutes. 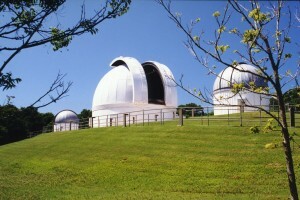 The observatory is home to three high-quality telescopes, including the multi-million dollar, 36-inch diameter Gueymard telescope, which is used regularly for scientific research. The 11-inch refractor mounted on one side of the Gueymard telescope was donated to the George Observatory by Preston and Donna Engebretson of Houston and has proven to be a wonderful addition to the retinue of telescopes housed in the domes. 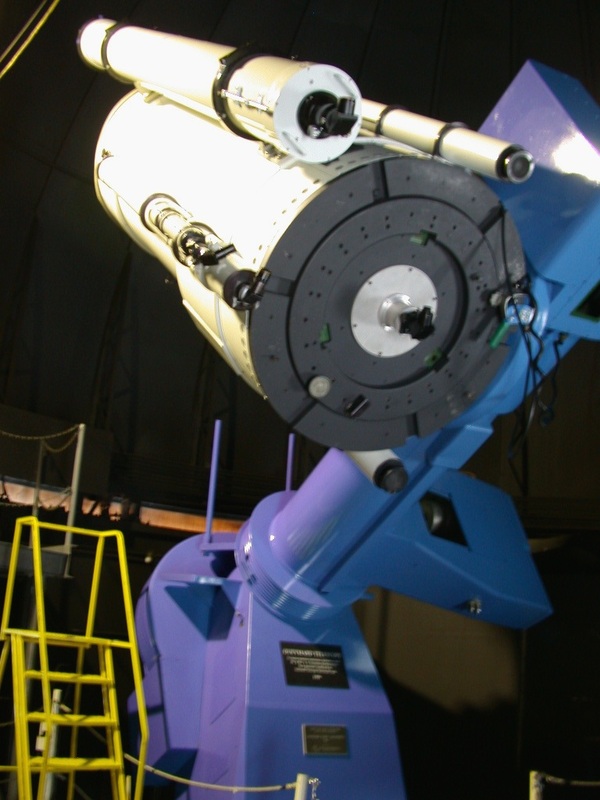 The 11” refractor telescope provides impressive views of planets and deep sky objects alike. The astronomy clubs from Houston and Beaumont come together this one day of the year for the purpose of sharing with the general public as much information about astronomy as possible in one day. Local area amateur astronomers are part of the lecture agenda taking place indoors with talks starting at 4 p.m., and running every hour until 10 p.m. There are also outdoor presentations by amateur astronomers every half hour until dark, learning tools for the young and old, kid’s activities, face painting, button making, night sky constellation tours and the opportunity to impart your knowledge of night sky objects to the public. Tables will be set up in the downstairs lobby and foyer by HCC Southwest Campus, the Night Sky Network, Land Sea & Sky, Advanced Telescope Repair and the usual Astronomy “club” table. Be sure to visit the new NASA pop-up displays set up downstairs in the main area. These will display images and information on the ISS and the Hubble Space Telescope. The theme this year for the astronomy t-shirts, and for the entire event, will commemorate the 20th birthday of the Hubble telescope. Consider bringing your solar-filtered telescope to set up on the deck in the afternoon hours to provide safe viewing of the Sun. Also in the afternoon, a simulated spaceship flight to the Moon in the Expedition Center will be open to the public. If you are new to the area, the George Observatory, located within Brazos Bend State Park, is about one hours’ drive southwest of Houston. The Brazos Bend State Park is a fascinating blend of lakes and trails, with alligators, small animals and wild birds of many types. The Park and the George Observatory can be reached in two ways. Maps and driving directions are available here. We hope you can join us for a day of astronomy and fun!